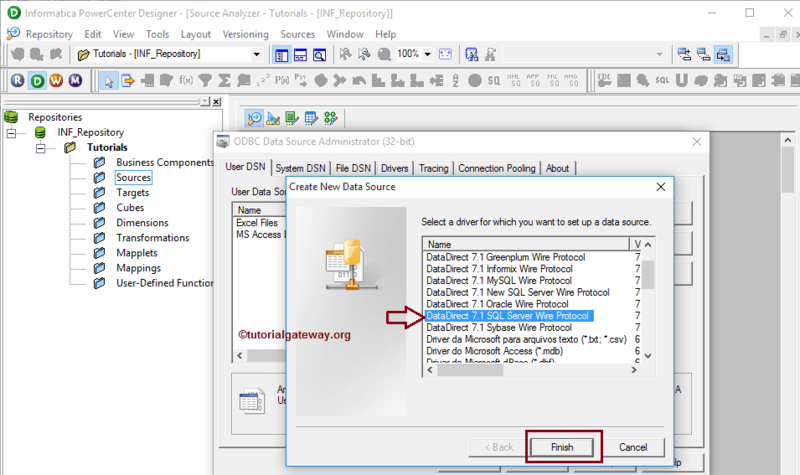 In this article, we will show you, How to connect with the Relational databases using the Informatica ODBC Connection with an example. For this Informatica ODBC Connection demo, we are using the Microsoft SQL Server as our relational database. 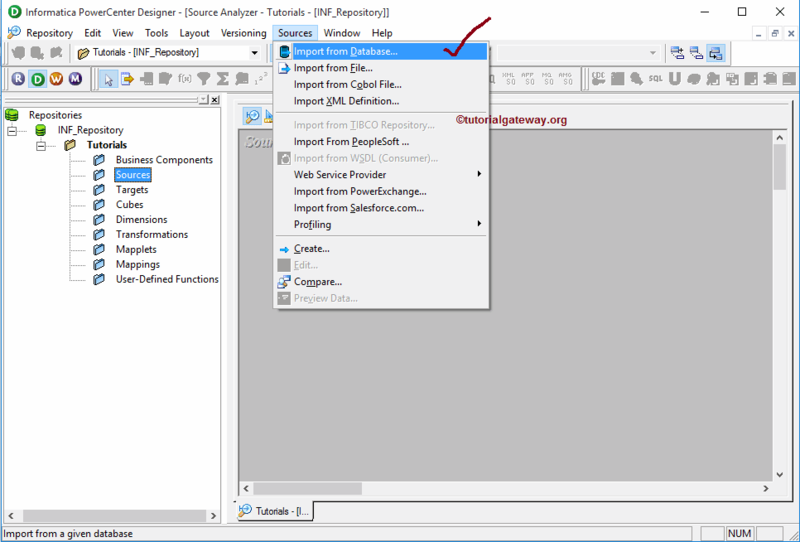 TIP: Please refer Informatica Source Analyzer article to understand the Source Analyzer. 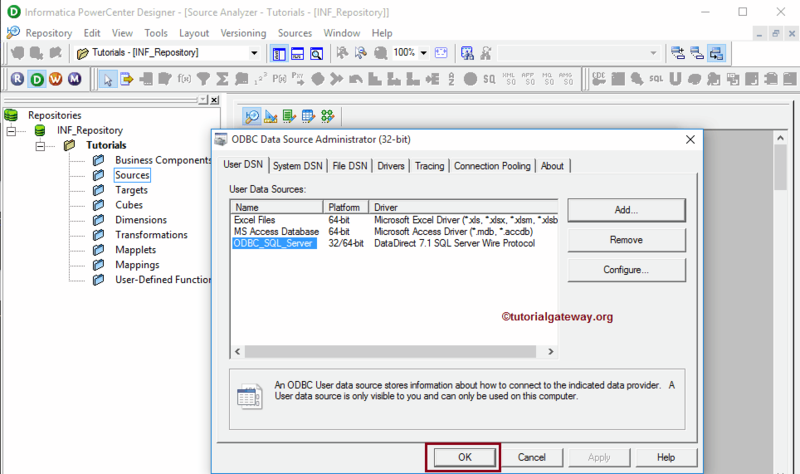 Once you click on the … button, ODBC Data Source Administrator Window will be opened to add a new ODBC connection. Click on the Add button to do so. Once you click on the Add button, Create New Data Source window will be opened. Here we have an option to select the required database from the available list. As we said before, we are using SQL Server so we are selecting the DataDirect 7.1 SQL Server Wire Protocol for this example. 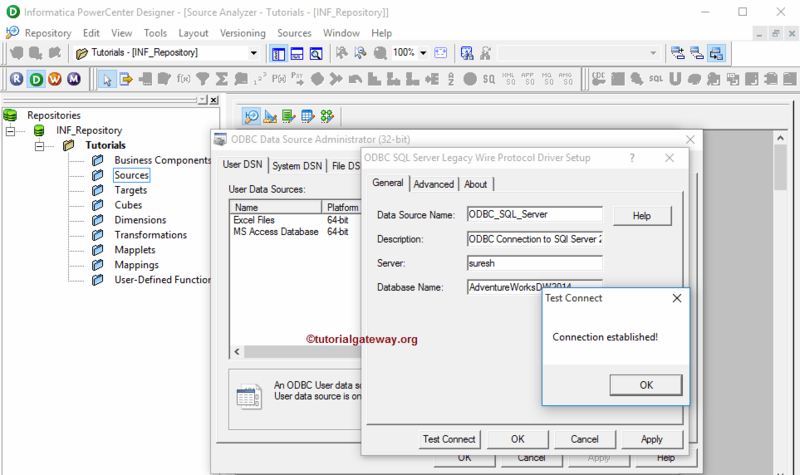 This will open the new pop up window called ODBC SQL Server Legacy Wire Protocol Driver Setup. Here we have to fill the required details to connect with our database. Data Source Name: Please specify a unique name for this Informatica ODBC Connection. Description: Please specify the valid description of the connection we are going to establish. Server: Please specify the SQL Server instance name. Database Name: Here you have to write the SQL database name from which you want to extract the data. For the time being, we are selecting the Adventure Works DW 2014. From the below screenshot, you can see our newly created Informatica ODBC Connection so click OK button. 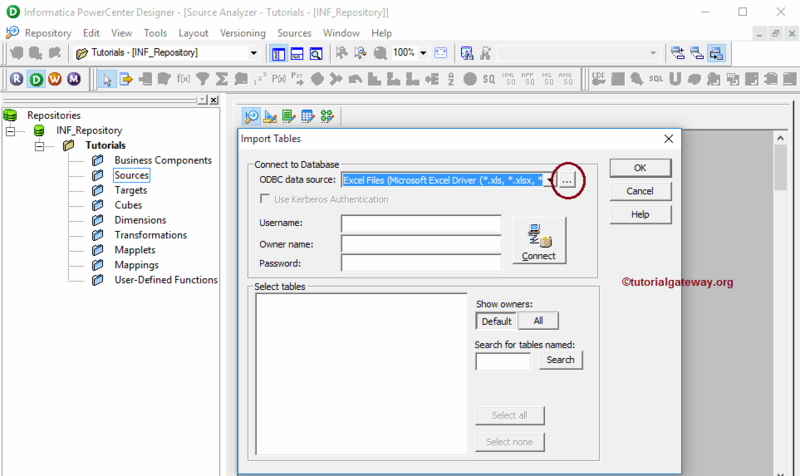 If you want to select this connection as a data source then, Please refer Database Source in Informatica article.